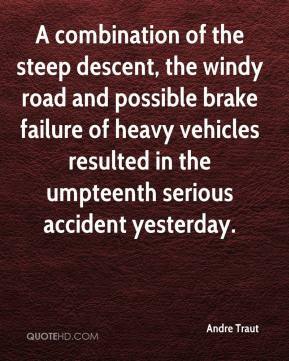 A combination of the steep descent, the windy road and possible brake failure of heavy vehicles resulted in the umpteenth serious accident yesterday. 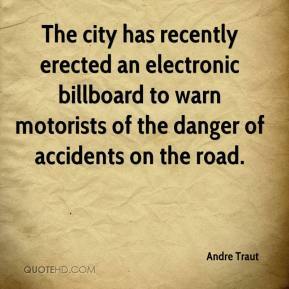 The city has recently erected an electronic billboard to warn motorists of the danger of accidents on the road. 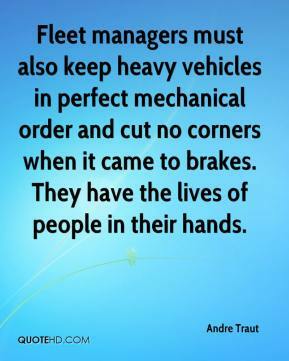 Fleet managers must also keep heavy vehicles in perfect mechanical order and cut no corners when it came to brakes. They have the lives of people in their hands.